Small business start-up, BIGPAWS.CO, has received a business boost from Retail Entrepreneur Theo Paphitis. Tracy Messer, owner of BIGPAWS.CO, tweeted Theo about her business during ‘Small Business Sunday’ and was one of six weekly winners to gain a retweet by Theo to his huge Twitter following. This weekly initiative, set up by Theo in 2010, now has 1700 #SBS winners and supports small businesses in the UK. Business and retail entrepreneur and self-confessed Shopkeeper, Theo re‐tweeted Tracy’s message to his 500,000 followers which has resulted in BIGPAWS.CO getting increased followers and orders for her Wall Mounted Dog Bowl Holders, a unique product which fits at any height and stops your dog’s bowl sliding around on the floor. 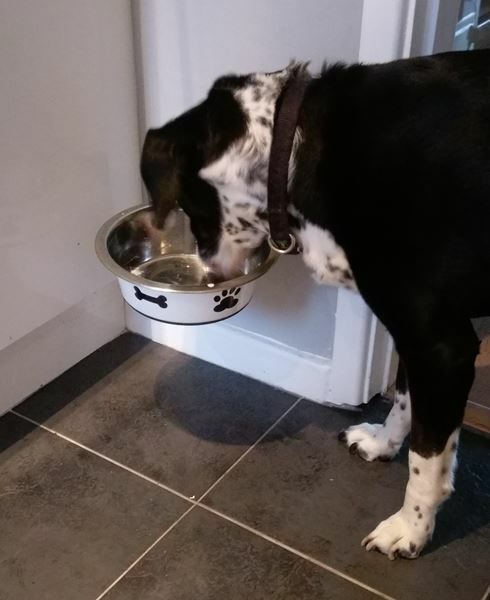 This entry was posted in Health, Miscellaneous and tagged dog, Dog Bowls by admin. Bookmark the permalink.